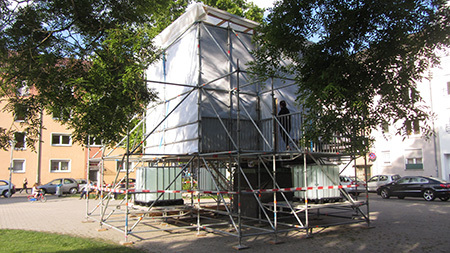 MONUMOTEL was part of the project Hotel Shabbyshabby initiated by Raumlabor Berlin and part of Teater der Welt in Mannheim, Germany 2014. 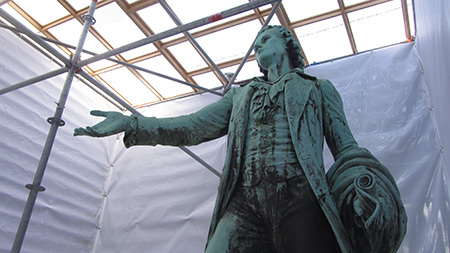 During the festival you could rent the room and spend the night with the statue of Friedrich Schiller. Team MONUMOTEL was: Verena Resch, Georg Schwarz, David Edward Allen, Munan Ovrelid, Christopher Brandt, Max Frey and Daniel Segerberg.